A weekly column dedicated to sharing the best sights and activities in San Diego at the best price – free! We have a great city and you don’t need to break the bank to experience it. 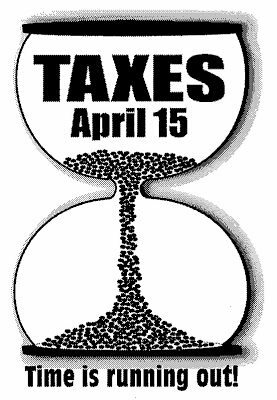 April 15th is quickly approaching, much to the dismay of taxpayers across the United States of America. However, the due date for federal income taxes doesn’t have to be a bad thing. I previously wrote about how tax refunds are a good thing and if you’d like to find out if you are due a refund you may be able to do so for free. “make $51,000 or less and need assistance in preparing their own tax returns. IRS-certified volunteers provide free basic income tax return preparation with electronic filing to qualified individuals in local communities. They can inform taxpayers about special tax credits for which they may qualify such as Earned Income Tax Credit, Child Tax Credit, and Credit for the Elderly or the Disabled. If you are 60 years of age or older there is also another similar program for you. The AARP Foundation Tax-Aide program “offers free, individualized tax preparation for low-to moderate-income taxpayers – especially those 60 and older – at nearly 6,000 locations nationwide”. “refundable federal income tax credit for low to moderate income working individuals and families. When EITC exceeds the amount of taxes owed, it results in a tax refund to those who claim and qualify for the credit. Basically, you may be entitled to a refund via the EITC or other income tax laws but you have to complete a tax return to find out. VITA is a free, easy way to do so. In the past I volunteered for a program similar to VITA in Chicago and helped many people secure a refund that they did not know they qualified for. It was very gratifying and clear that the refunds would make a large difference for those taxpayers I helped. Many of the VITA locations in San Diego require an appointment so please click the link at top if you think you qualify for this service. The April 15 deadline is quickly approaching and it is better to complete your tax return sooner rather than later whether you owe money or are expecting a refund.